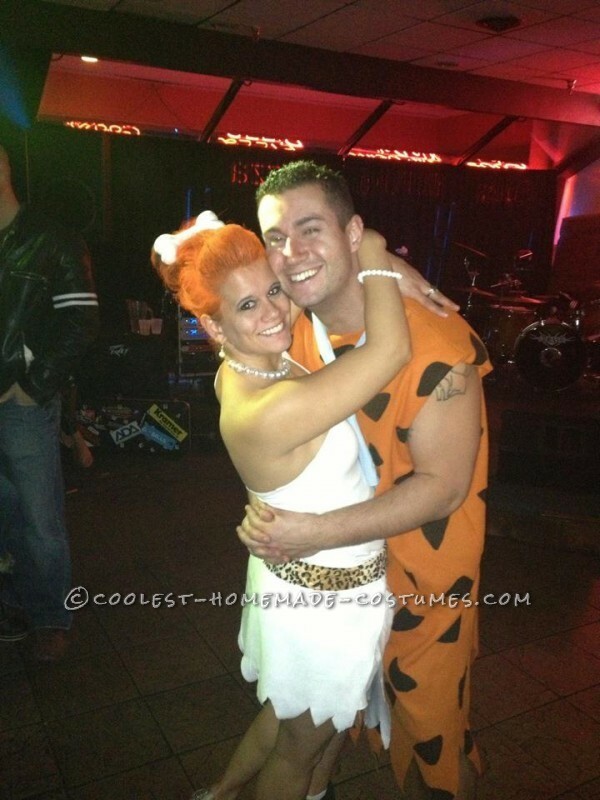 Halloween 2012 as Wilma and Fred Flinstone! 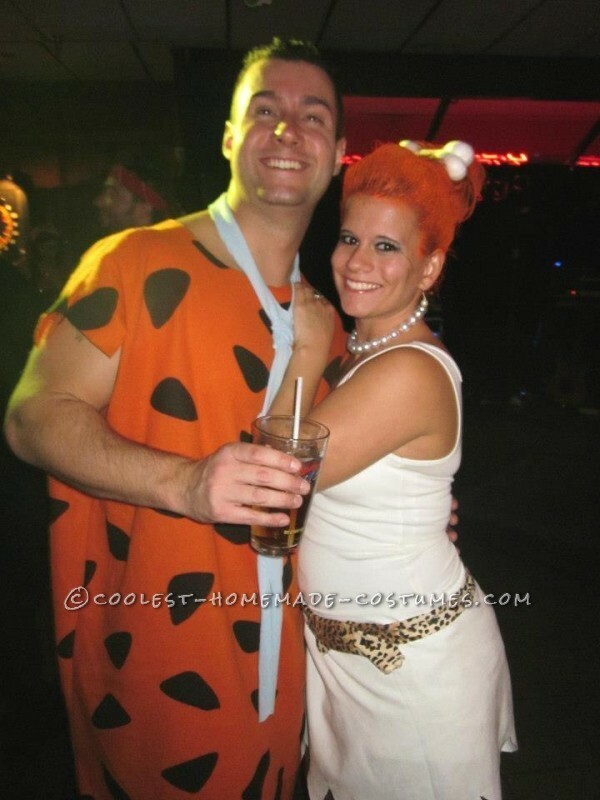 Fred Costume- can be made easily with fabric from a fabric store. Black triangles to put all over the orange outfit.. You can use a baby blue fabric for a tie, and orange fabric for the full length outfit. Measure it and make sure it is a right fit and give yourself a little more just in case when you sew it together it will have a little room to squeeze in. Wilma- I took a white tank and cut off one sleeve to make the top. The bottom is soft fabric wrapped around and pinned to stay in place. I added the leopard belt to give it a little flair and the bone because the Flintstone’s are set in the Stone Age. The orange hair comes from a paint can and comes out in the shower. It was a perfect touch to the costume. This costume is super easy to make and we had a great time doing it. Homemade costume idea posted by Fawn B.